US compounder Teknor Apex worked with UK-based Gumdrop to divert chewing gum waste from landfill by converting it into a raw material for thermoplastic elastomers (TPEs). Gumdrop specialises in the recycling of waste chewing gum. Having created a programme for reclaiming pre and post-consumer gum for use in material it calls Gum-Tec, the company turned to Teknor Apex to develop and produce compounds from the large waste stream of the 500,000-tonne/year chewing gum industry. 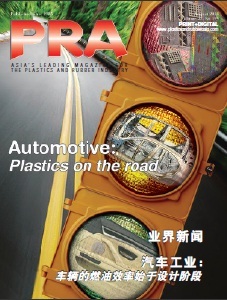 The challenge was to devise formulation and manufacturing techniques for an altogether new type of raw material in order to produce commercial-scale quantities of compounds that consistently meet the requirements of specific applications, including optimised elasticity, compression set, tensile properties, and other mechanical properties, as well as processability. The chewing gum waste comprises up to 30% of the new gum-based TPE compounds. 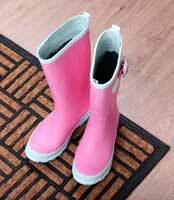 Among the first commercial applications for Gum-Tec compounds was that of Wellington boots. The latest is shoe soles. Some other uses are caster wheels, automotive bumpers and floor mats, window gaskets, wristwatch straps, toothbrush grips, and extruded pencils. Meanwhile, Reverdia and Dezhou Xinhuarun Technology (Xinhuarun) have signed an agreement to jointly develop and promote Biosuccinium-based microcellular polyurethane (PU) foams. These new microcellular foams will be used in soles for footwear and further applications. Based in China, Xinhuarun’s products are exported across Asia, America, Europe and the Middle East. Xinhuarun has been dedicated to the development and manufacturing of functional footwear, shoe soles and innovative polymers for decades. As an industry pioneer, Xinhuarun is well adapted to different technologies which lead and serve the footwear market, including polymer synthesis, chemical modification, blending modification and dynamic vulcanization. The company has forged strong partnerships with many first-tier domestic and international brand-owners. Reverdia enables the bio-based materials of tomorrow with its Biosuccinium offering. It works with brand owners and manufacturers on application co-development for sustainable products. Produced since 2012, Biosuccinium is sold globally. The Biosuccinium technology is also offered under license to value chain partners and co-producers.